Sometimes a big market shift isn’t easy to spot and often it’s too late once it is noticed. We have seen the results of this phenomenon in many industries where the leading brands are no longer relevant or are just surviving and for some are no longer in existence. Just consider the rapid decline of General Electric (GE), which was booted from the elite Dow Jones Industrial Average after 110 years as one of its original members, reflecting a change in market dynamics and the organization’s failure to effectively lead and manage through change and disruption. [i]The Dow is considered an exclusive club of America’s most “important” companies and GE was a leader in innovation and technology during the industrial and information ages, but it has stumbled in the digital age. Could a major insurance company stumble? Industry players across the entire range of insurance industry segments are being confronted with permanent changes in customer behavior, different employee expectations, rapidly evolving digital technology and a quickening of the shift to Digital Insurance 2.0. Today’s customers want an experience. They want simplicity, visibility, flexibility and a unique journey that is personalized for them. Meeting and exceeding these rising needs and expectations requires a shift from Insurance 1.0 to Digital Insurance 2.0 in terms of products, processes, and business models in a new era of growth and innovation. If insurers are not thinking about disruption or they are not paying attention to shifting market dynamics, they could experience a similar stumble. InsurTech investments are continuing at a rapid pace with no slowdown in sight, pushing the industry rapidly toward Digital Insurance 2.0. According to a recent Willis Towers Watson report, InsurTech investments in Q1 2018 marked a new high with 66 investment deals valued at $724M by both incumbent insurers and reinsurers, as well as traditional venture capital firms. This investment was 16% greater than Q4 2017 and 155% greater than Q1 2017. [ii] Based on tracking of InsurTech investments by FT Partners, they note the largest investments are going into new insurance ventures. Further analysis shows a balanced investment across the P&C and L&H segments. Interestingly, the Willis Towers Watson report notes that incumbent insurance investments tend to be minority ones in technology start-ups focused on easing internal insurance pressure points for processes, such as operational costs, claims and underwriting, that provide financial returns. In contrast, venture capital investments tend to be majority positions focused on addressing external customer pressure points across the value chain through product innovation such as price, ease of access, engagement and reaching unserved or underserved markets. These markedly different areas of focus reflect the greatest threat and challenge that insurer’s face – focusing on internal needs rather than market needs. In today’s digital age, it’s all about the market and the customer. The “insurance ventures” focused on the external market via InsurTech startups (either insurers or MGAs) are the first movers that are shaking up the industry. First movers are focused on gaining competitive advantage by being first to market, enabling them to establish brand recognition, customer excitement and loyalty, while also giving them the advantage to “test and learn” the new model, product or service and upend an industry sometimes described as one of the most old-fashioned, analog consumer services in existence. First mover startups are fueling and accelerating momentum for change. They are helping to push industry advancements, new cultural trends and technology solutions for a sometimes slow-to-adapt industry by challenging the traditional business assumptions, operations, processes and products, highlighting two distinctively different business models. The first is a pre-digital age model, Insurance 1.0, representing the market dynamics of the past 50+ years based on the business assumptions, products, processes, and channels of the Silent and Baby Boomer generations. The second is a post-digital age model, Digital Insurance 2.0, representing the market dynamics of changing economics, technology and customers including the next generation of buyers, Millennials and Gen Z. The case for Insurance Incumbents to establish Greenfields that will position them as market leaders is outlined in Majesco’s recent thought-leadership report, Greenfields and Start-ups: Accelerating and Paving the Path to Digital Insurance 2.0. 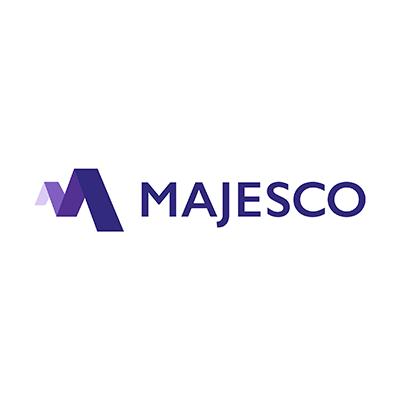 The report highlights Majesco’s 2018 Strategic Priorities research, which provided a contrast between insurance leaders and laggards. Many companies had a growing awareness and were reprioritizing to rapidly adapt to the market changes and disruption by shifting to Digital Insurance 2.0. Unfortunately, many also had a continued gap between being aware of the issues and acting on them. This puts them in the position of market laggards and places them at risk. InsurTech startups and insurance innovation is not a fad that will go away, but is, instead, an integral part of the industry that is here to stay. Fortunately, some of these incumbent insurers who are emerging as leaders are beginning to “get in the game” and shape the change started by InsurTech and move to Digital Insurance 2.0. Some incumbent insurers for P&C as well as L&A and Group are now investing in their own Greenfields, whether that means establishing a new brand identity, or just launching a new portfolio of products and services. Some Greenfields are born within well-established market leaders, and others are from smaller mid-market insurers seeking new growth opportunities. These companies are investing capital in their futures, just like a venture capital firm would invest in a promising startup. Regardless, they each represent interesting, innovative models, products and services that are capturing the interest of customers and investors alike. As these insurers strategically pursue new Greenfield operations, they are quickly recognizing that just optimizing their existing business through legacy modernization and digitization, while improving their Insurance 1.0 model, will fall substantially short in reshaping the business to fit the Digital Insurance 2.0 model and satisfy the next generation of customers. Instead, the emerging leaders are developing new business models that take a broader view by looking at the next generation of buyers, who are digital sophisticates. These new models require a modern core platform that leverages new technologies, data, ecosystems and much more, in order to operate like a “digital first, customer first InsurTech startup”, as outlined in the report, Cloud Business Platform: The Path to Digital Insurance 2.0. While InsurTech startups have an early advantage, incumbent insurers are increasingly joining the game by establishing new Greenfield operations to innovate, test and learn and capture the opportunities. With so much money targeted to the traditional market segments, disruption and change will be coming faster than many incumbent insurers recognize, creating significant risk. By doing so, they are positioning themselves as the market leaders in a new age of insurance. InsurTech startups and incumbent Greenfields are the first generation of Digital Insurance 2.0 companies. They are flipping the Insurance 1.0 script and rewriting the rules of business by leveraging digital technologies and fresh thinking to overcome the weaknesses of Insurance 1.0. They are using an external focus on the customer and market and adapting the insurance business model to fit how customers want to purchase, use and interact with insurance. Will all of them succeed? Certainly not. But we should look at this unprecedented level of activity and investment as a large-scale test-and-learn period that will lead to a set of winning formulas that work best for the customer, the market and the company. While the disruption is in the early stages and has only begun to scratch the surface of opportunities, the time to participate is now. If an insurer hasn’t yet wrestled with the necessity for change, this is the crossroads moment to understand the shifting market, adapt and swiftly take action. Opportunities abound for incumbent insurers who move quickly and decisively to Digital Insurance 2.0 with new Greenfields. In this age of rapid change, companies need to be leaders, rather than fast followers or laggards to succeed, let alone survive.